"My name is S.Santha Kumar. I am 6 years old and studying in 2nd grade. My family comes from below the poverty line. I was neglected without proper food and clothing due to our financial crises. God gave me New Hope Children's Home to stay and study and also enjoy all the blessings of God. My ambition is to become a police officer. I am in need of a sponsor." 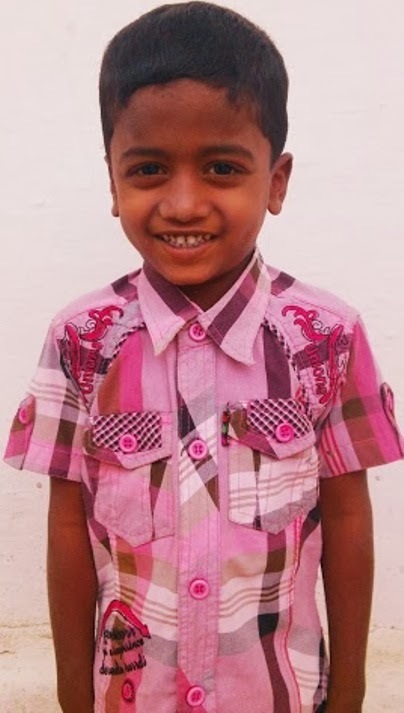 CLICK HERE TO SPONSOR SANTHA KUMAR!